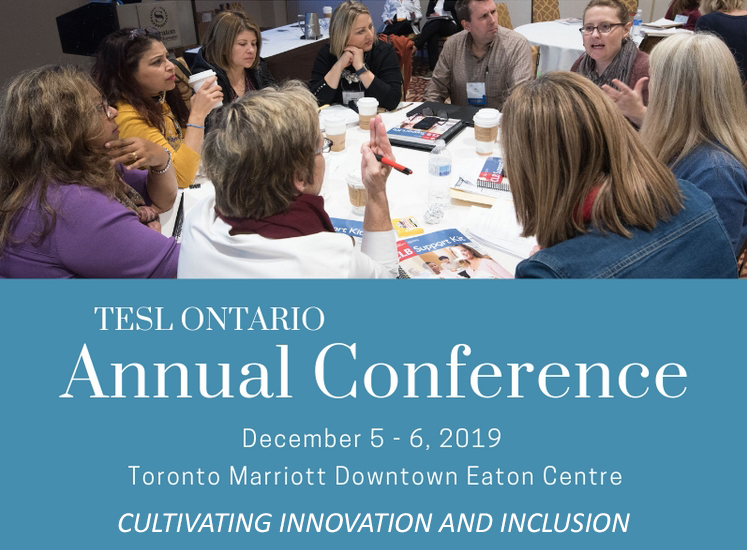 TESL Ontario, established in 1972, is a non-profit organization serving the needs of teachers of English as a Second Language and English Literacy Development. 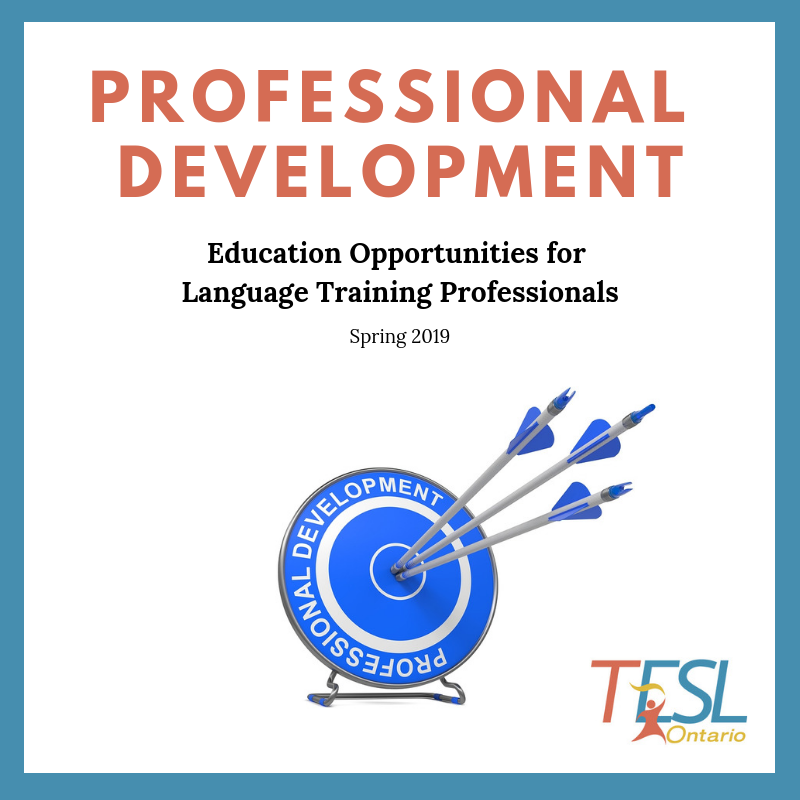 In its commitment to professional development and advocacy, TESL Ontario addresses the range of competencies, experiences, and issues which influence the success of immigrants, refugees, visa students, and others who are learning English. 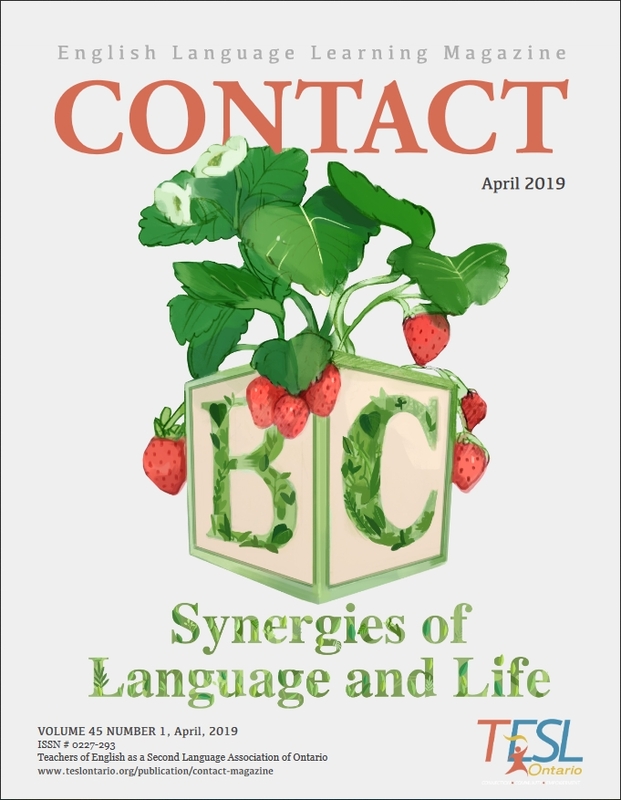 The Spring issue of CONTACT TESL Ontario Magazine can be downloaded from our new website for CONTACT at http://contact.teslontario.org/issues/ . The new website for CONTACT makes it possible for you to search all the articles in recent issues or download previous issues. 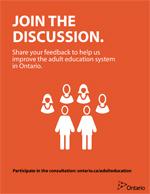 We are a group of five ESL Literacy instructors that are conducting a provincially-funded research project on adult ESL Literacy. 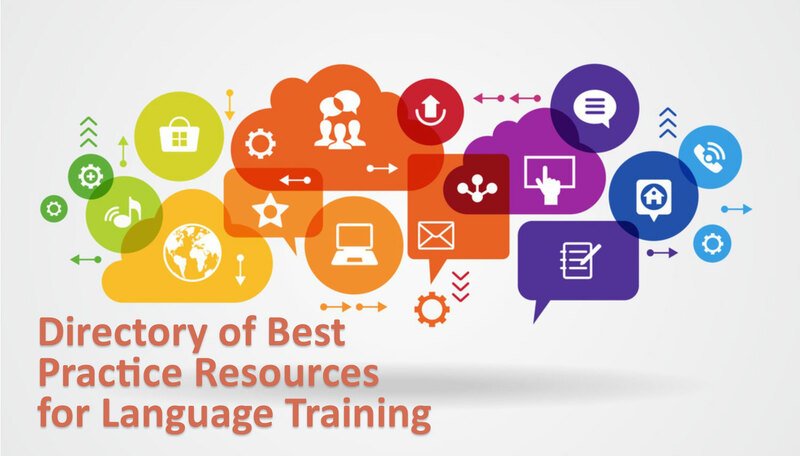 We are all passionate about Literacy and realize the need for work done in this field to help existing and future instructors meet the needs of their unique learners. A researcher at Université Laval, Monica Waterhouse, is exploring the role of affect in teaching in newcomer classes. 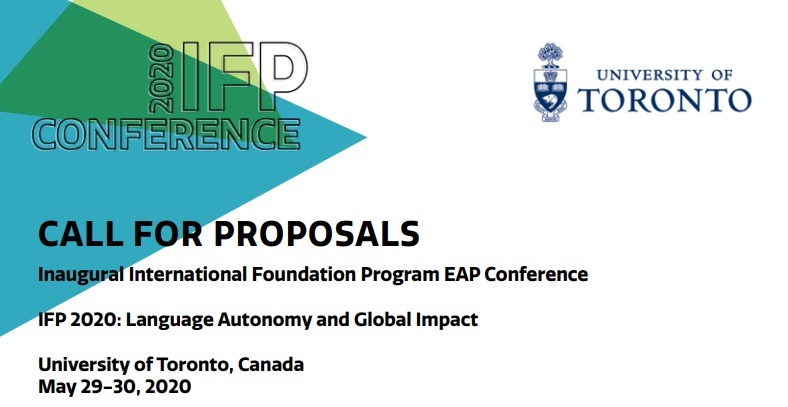 For Phase 2 of this project, Monica is looking for instructors to share their perspectives and experiences about teaching existing lessons that use arts-based teaching materials (a graphic novel and a song). 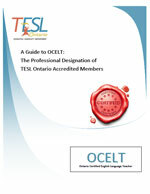 TESL Ontario is pleased to announce that through a contract with the Ontario Ministry of Citizenship and Immigration, TESL Ontario will develop a new process for the recognition of prior learning (RPL) for Internationally Trained Instructors of adult English as a Second Language to replace its existing PLAR (Prior Learning Assessment Recognition). The new RPL system will include a competency-based process as well as the current credit-based system.